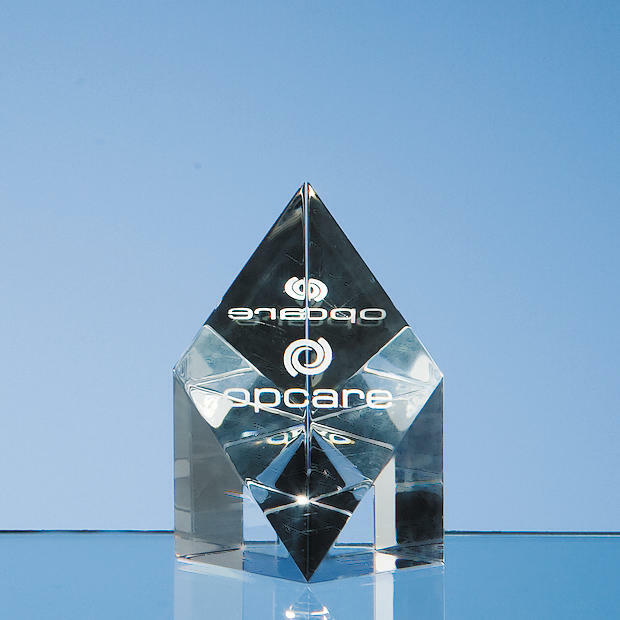 This Sloping Diamond Award,in stunningly clear optic crystal, is hand crafted and available in three sizes. The beautiful facet design reacts with light at various angles and, when presented to the recipient, can look spectacular. Engraving space available for text, logo or badge. Perfect for sporting evets, corpporate occasions on simply as a wonderful gift. They are supplied in a black foam lined presentation box.